You’re here, it means, you’re searching some good Rajasthani dance songs to rock on the dance floor. If you are going to perform in a special occasion then this is for you. 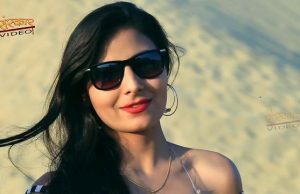 Well, there are a good number of Rajasthani folk songs for dance but when it comes to the most popular songs then this list will help you to enjoy your performance with these best dance songs of the region. Here, we have included the best dance songs for you, so go ahead and select what you love the most and dance for your own satisfaction. Straightforward, enjoy the songs. This has been one of the most fantastic songs of Shobha Mudgal. Her voice makes Rangilo Mharo Dholna song, the beautiful song of Rajasthan. What a folk tone of her voice. If you really know some folk dance steps of Rajasthan, you can pick this one for your best performance. It is the most song which is performed in marriage parties for individual performances. Without the Rajasthani Ghoomar Song for dance, we can not create a list of Rajasthani dance songs. So it is best choice to play your dance efforts on this folk song. This song have included because of majority of performers enjoy it for their dance in such special occasions. You love it too. Rajasthan is known for its folk music and dance, if you really love to dance on such songs, this is that song for your dance performance. Even it will inspire you to dance on it with your own folk dance steps. The best song of Veena Music. It will help you to feel soul of Rajasthan. Let’s enjoy it. This is a DJ song choice if you want to dance on it. It’s up to you. People enjoy dancing on this number. This is from the old Rajasthani folk music which belongs to Falgun month. It is a famous song of Rajasthan. Hiwada Mein Nache Mor song have taken from movie Hum Saath Saath Hain. This is beautiful song of Rajasthani language which has been sung by Kavita Krishnamurthy, Hariharan, Kumar Sanu, Alka Yagnik, Udit Narayan, Anuradha Paudwal. Check it out if you love this one. This list of Rajasthani dance songs includes the most popular song Banna Re Baga Mein Jhula which will give you to choose this one. It is a good pick if you know how to enjoy the Rajasthani folk songs with dance. A super hit song of Hum Dil De Chuke Sanam. Best part of it, you enjoy your dance when you perform on it. It is a desi dance song of Rajasthan. Check out this dance number of the movie Hum Dil De Chuke Sanam. This dance video could be a good choice. Chirmi Rajasthani dance song are played at so many wedding events. Relatives and family members love to perform on this songs a lot. We can not forget this song when it comes to marwadi dance songs. This could be a best bet for your dance. There are so many occasions here in Rajasthan for having some fun and entertainment by performing the folk dance of Rajasthan. Mostly, these events were come, especially in the weddings season(Ladies Sangeet parties). It’s time for entertainment. This Rajasthani folk dance song list would help you to pick the best one for you love to enjoy your dance performance. We have done our job perfectly to find and collect songs for dance. 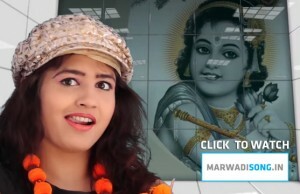 MARWADISONG.IN is the best resource for Rajasthani/Marwari/Marwadi Songs. Good luck! If enjoyed the songs, please hit a share button.